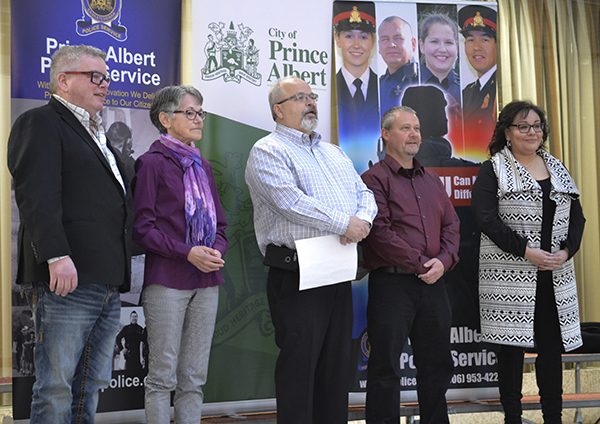 The Prince Albert Grand Council’s (PAGC) Sheryl Kimbley is the first female civilian chairperson for the board of police commissioners. Mayor Greg Dionne announced her as the new chair on Thursday morning, along with the reconstructed team of seven members. It also consists of Dionne as vice-chair, Coun. Charlene Miller, retired teacher Darcy Sander, the Indian Métis Friendship Centre’s Janet Carriere and reappointed Coun. Blake Edwards and Brent MacDonald. “I really worked hard to get a diverse board,” said Dionne. He said some members, such as Carriere, reflect the need to tackle the city’s addiction problem. Kimbley said the answer lies in youth programs. “I’ve heard so many things about how we have to get different programs happening in school and different support because our teachers as well are tired. They’re dealing with issues that are not being taken care of,” she said. She added connecting the community more is a top priority. “Too many times we focus on our own kids and how to get them to school and how to get them to prosper and it’s time that we look at everybody’s children and say ‘We’re in this together,’” she emphasized. Kimbley is the PAGC’s special event coordinator. Being an active member of the community, she was awarded Citizen of the Year back in 2016. “I love Prince Albert. I’ve grown up in this city. My parents have contributed and made sure that we always contributed and knew that to make a better city, we needed to get in there and we needed to get our hands dirty a little bit,” she said. Dionne said it’s important to him to have a mostly civilian board, but also to have more female representation. The entire police team is seeing many shifts. Last week, Dionne announced Jon Bergen as the new chief, who’d been in the acting position since July. He’ll be sworn in on Monday. Then, on Dec. 17, Bergen is announcing his deputy chief. Dionne said they’ll have to go through a process in January and appoint two inspectors. “They’re going to ramp up their team and we’re going to have a new team of commission, so I think it’s a great start for both of us because we’re both going to get (our feet) wet at the same time in the learning curve,” he said. 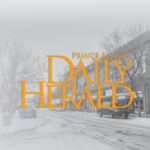 With so much movement, the Prince Albert Police Service (PAPS) is hiring new recruits.